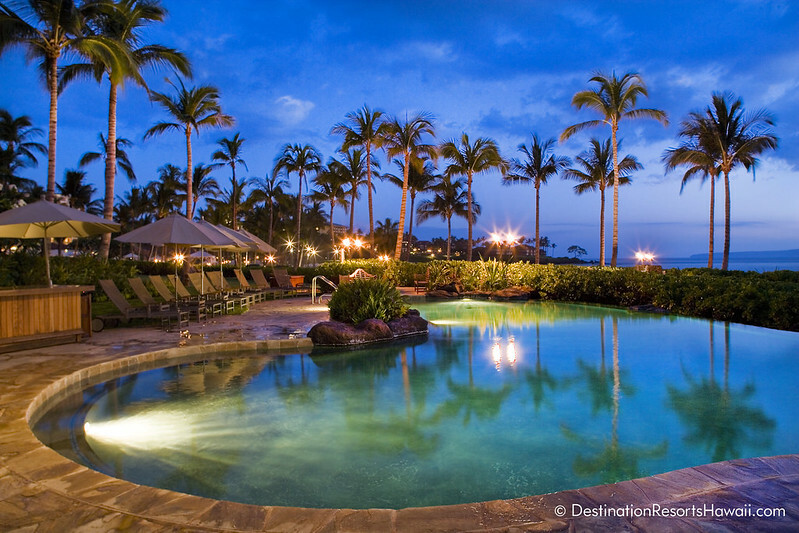 Conde Nast Traveler’s Readers’ Choice awards has named Wailea Beach Villas Hawaii’s top resort. The Maui property also was the only resort in the state to be listed as one of the Top 25 Resorts in the U.S.; it also was named as one of the Top 100 Hotels & Resorts in the World. “This is an incredible honor to be named among Hawaii’s and the world’s finest luxury hotels and resorts,” said Ben Beaudoin, general manager of Destination Resorts Hawaii, the official management company of Wailea Beach Villas resort program and its homeowner’s association. “We are especially proud of our associates who have worked diligently to achieve this prestigious recognition.” Beaudoin said Destination Resorts Hawaii is dedicated to po’okela. “Po’okela is the Hawaiian word for excellence and we will continue elevating our service standards, working with homeowners on upgrades and enhancing the value we provide to guests,” he said. Wailea Beach Villas are multi-million dollar two- to five-bedroom penthouse suites and villas with lavish living room, dining spaces and private lanais that are equipped with Viking barbecue grills, according to Destination Resorts. The property sits on 11 acres at Wailea Beach. Upon arrival, guests are greeted with a lei, Hawaiian iced tea and scented towels to cool-off. Use of cabanas, beach loungers and umbrellas on Wailea Beach are complimentary as is parking and wifi. Nanny, butler, private chef and personal adventure guide services are also available. More than 76,000 readers participated in the survey that helped land Wailea Beach Villas on the top of the charts. Several other Maui resorts made the Top 25 in Hawaii awards for 2014 including Honua Kai Resort & Spa (3), Andaz Maui (4), Four Seasons Resort Maui (6), The Fairmont Kea Lani (9), Ritz-Carlton (13), Grand Wailea (15), Westin Maui Resort & Spa (18), Hyatt Regency Maui Resort & Spa (22), Makena Beach & Golf Resort (24) and Travaasa Hana (25). Click here for additional details and the methodology of how Conde Nast Traveler’s Readers’ Choice survey is conducted.